As we approach the end of 2018 and consider the extraordinary year it has been in governance in Australia, it’s understandable that directors might be looking forward to a break. In a year that brought us a hefty and ground-shifting royal commission that called into question the effectiveness of boards and put director duties under the spotlight, we may well wonder what’s in store for next year. In the spirit of the festive season, the GBD team thought we’d jump in early, and put together our 12 Days of Governance Christmas wish list for the year ahead. It’s what all nice directors are hoping for in their Christmas stocking. Many a director may have felt like they were going to end up on a naughty list somewhere after a year in which directorship and governance were called into question. After the tumult of the Hayne royal commission investigation and findings, we’re wishing for a year in which major investigations aren’t needed. Whilst it has been necessary and positive to expose and address the serious findings of the commission, here’s hoping there’s no need for any more of them and good governance prevails. Santa doesn’t get to be Santa just because he wears the red suit. The dude is a true leader – the elves who work for him are happy, and he steers his sleigh and reindeers with authority. What every director wants is a Chair who’s a little like Santa – one who facilitates smooth, functional and efficient meetings, who steers their board with authority, and who is respected by those who work with him (or her). As Johnny from sales has one too many beers at the office Christmas party and ends up on the HR naughty list for disturbing the peace, the savvy director begins to ponder just how responsible he or she is for the culture that allowed Johnny to go too far. So we’re wishing for a Christmas miracle in which we all have clarity on the issue of culture and how involved directors should be in cultivating a good one. If you want to know what good strategic planning looks like, go see the nearest working mother who’s hosting this year’s combined family gathering as well as organising all the gifts for said gatherers. She’ll have a list to rival Santa’s, and a strategic plan that will get her to Christmas lunch with money and minutes to spare, having avoided any seasonal disputes because she knows who doesn’t get along with who; who deserves diamonds and who deserves coal; and exactly who presents the biggest risk to upsetting the day’s agenda. Strategic planning isn’t just a to do list – or in the case of a board, ticking off compliance boxes. It’s having a thorough understanding of the issues at hand and the people at play, and taking all of those things into consideration to plot a path forward to successfully reach your end goal. Isn’t it nice when you get together with all the neighbours to share some festive cheer? You look around and see the retirees who have lived in the town all their lives; the families who moved from the city for a better lifestyle; the young couple who bought the dodgy renovator down the road and plan to make it their forever home. Everyone from different backgrounds coming together to celebrate their neighbourhood. That’s what we want for boards – a diverse mix of people with different backgrounds, experiences and skills around the board table, coming together for the good of their organisation. Christmas is a time for old traditions but it’s also a time in which the kids often take precedence. Not that we’re calling millennials kids but we hope you see our point – we want to see the younger generation represented on boards and coming up through the ranks as future leaders. Experience counts, but the world is changing, and boards stuck in the past won’t have what it takes to innovate for the future. When you realise you’ve missed out on pudding at Christmas lunch because some sneaky bugger ate two pieces, it takes some communication skill to call them out on it and hold them accountable. Now we’re not suggesting your fellow directors have eaten all your pudding (or the bickies set aside for afternoon tea), but a quality board will have directors who can respectfully hold each accountable, and raise issues with each other when they won’t necessarily see eye to eye. Good governance needs robust discussions (and maybe some extra pudding). The rules of Christmas haven’t changed much over the years. Be good so you stay on the nice list; buy your loved ones a gift; do something for those less fortunate; count your blessings and go to church; put some cookies out for Santa on the 24th; eat too much food on the 25th. Everybody knows the rules of engagement, the consequences for breaking the rules, and when the deadlines are. When there’s consistent, stable policy, everyone knows the expectations and can get on with the job. So here’s hoping for stable governance policy so that as directors we know where we stand and what we’re there to do. Rudolph was pretty above-average, what with the shiny nose and all. It’s fair to say the rest of the reindeer crew are also above-average for reindeers – they can fly after all. And who doesn’t want to be surrounded with above-average colleagues? Above-average directors bring energy and enthusiasm, and contribute in a meaningful way. They are respectful, do their due diligence and research, come to meetings prepared, and aren’t looking for a free ride. They may, or may not, have a shiny nose. You know why everyone loves Santa? Because he knows all about everyone and knows exactly what they want. He’s invested in their happiness and he knows how to deliver so their expectations are met and no-one ends up disappointed. Stakeholder awareness means directors know what the community expects of them and the organisation they serve. (Hint: the banks did not have very good stakeholder awareness when it came to the community and their expectations of ethics and behaviour). Directors need to consider the wider community and how the organisation and the decisions implemented may be perceived by others. Your reputation hinges on it. 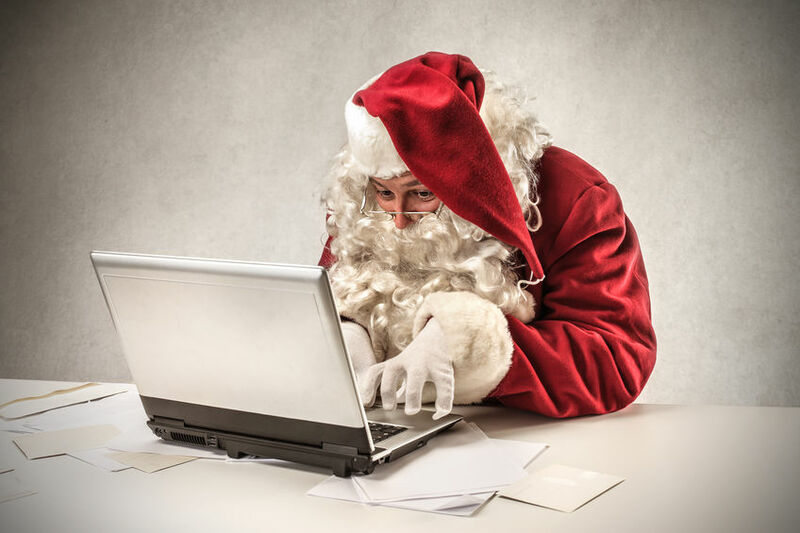 If you’ve ever read a kid’s letter to Santa, you’ll understand the idea of being proactive. A determined kid will have laid out not only a significant list of options of what they want, but also a compelling story of why they deserve said list of gifts. No hanging around waiting for someone else to decide their fate, or hoping their name is ticked off the nice list. These kids are proactive about getting what’s important to them. Too often we see directors and boards who limit governance to a process of compliance, rather than looking for ways to bolster their knowledge, understanding and effectiveness. Workshops, training and bringing in external consultants for briefings are all ways in which directors can be proactive about the way they fulfill their governance obligations, and ultimately like the kids writing to Santa, get what they want. Just kidding. They wouldn’t fit around the board table. And now that you have that Christmas carol stuck in your head, the Governance By Design team would like to take the opportunity to wish you and yours a very safe and happy Christmas, and a year of good governance for 2019. Set yourself and your board up for a great 2019 and contact us about booking in reviews, workshops and training.